Related: Michael Pollan: Genetically Modified Foods Offer Consumers "Nothing"
In an interview with The Daily Ticker, Parker describes in detail how connected Monsanto is to Washington lawmakers, a feat accomplished by spending $70 million in lobbying since 1998 and $10 million in campaign contributions in the past decade. Earlier this year Michael Taylor, the former vice president of public policy at Monsanto, was named by President Obama as deputy commissioner for foods and veterinary medicine at the Food and Drug Administration. Parker says this appointment underscores two things: how deeply embedded Monsanto has become in the higher ranks of government and how the company has been able to quietly influence national food policy. "The article presents a one-sided portrayal of Monsanto that the author and critics of the company would like readers to believe. The 21,000 people who work at Monsanto are proud of our efforts to help improve farm productivity and food quality. Agriculture and its uses are important each of us. Among the challenges facing agriculture are producing food for our growing population and reducing agriculture’s footprint on the environment. At Monsanto, we believe we are making a contribution to improving agriculture by helping farmers produce more from their land while conserving natural resources such as water and energy. On our website we have addressed many of the topics misrepresented in the article." Cotton, corn and soybeans are the most common GE crops in the U.S. Last year GE cotton accounted for 94% of all cotton planted, GE soybeans accounted for 93% of soybeans planted, and GE corn accounted for 88% of corn planted, according to the USDA. 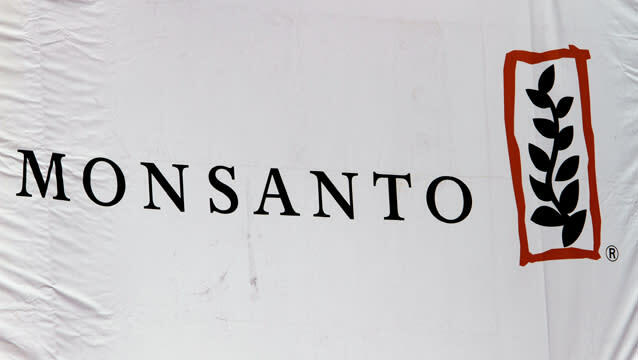 Monsanto, which reported net sales of $4.2 billion and a profit of $909 million in the last quarter, is the world’s largest seed manufacturer. Monsanto’s opposition to GMO labeling has been widely reported. But its treatment of farmers who buy and plant its seeds deserves the same amount of attention, if not more, Parker argues. Parker says Monsanto employees will “harass” farmers to scare them from replanting the company’s seeds without permission. The company also hires “people who used to bust up unions” to investigate other seed distributors to protect its patents, he adds. Sources told Parker that farmers refer to Monsanto as the “seed police” and employ “Gestapo” and “mafia” like tactics to “spy and intimidate” them. And Monsanto will slap small farmers with lawsuits when it believes its patents have been violated. In May the U.S. Supreme Court upheld a lower court’s ruling that Indiana soybean farmer David Runyon was guilty of patent infringement for planting and saving seeds that contained Monsanto's genetically altered Roundup Ready weed killer. Monsanto’s monopoly over the seed industry has prevented the research and investigation that’s needed to determine the safety of its GE crops, Parker says. "The information is not out there," he laments. "The FDA and USDA don’t study these crops – they take Monsanto’s words that they’re safe." GMO crops pose another risk to the industrial farming complex, Parker notes.